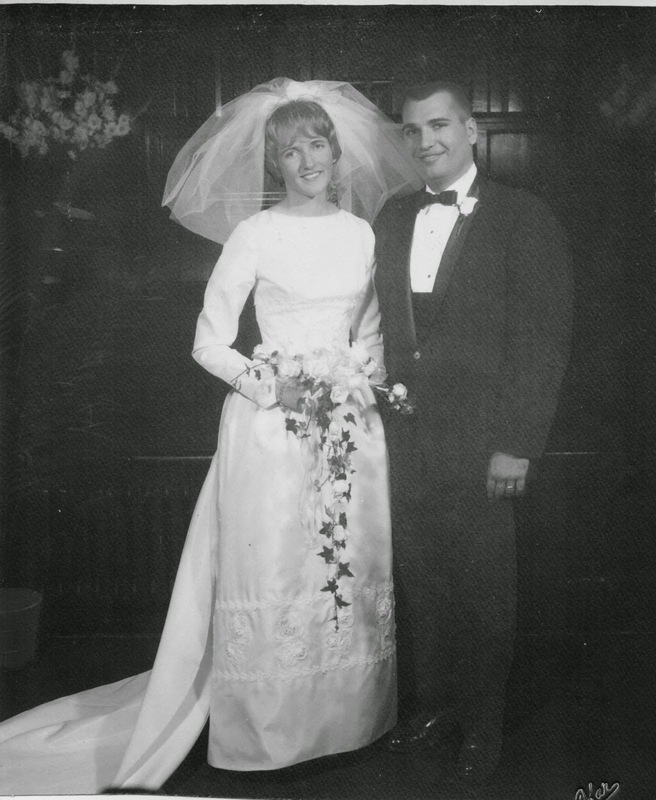 Stan & Judy celebrated their wedding day. 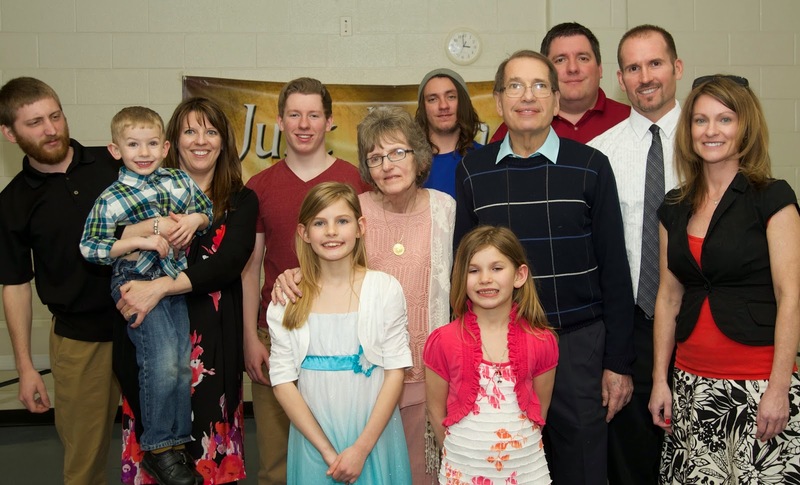 2 sons, 2 daughter-in-laws, 4 grandsons and 2 granddaughters. Ahren, Tyce, Tami, Brandon, Maddox, Judy, Zachary Morgan, Stan, Todd, Chad and Heather. 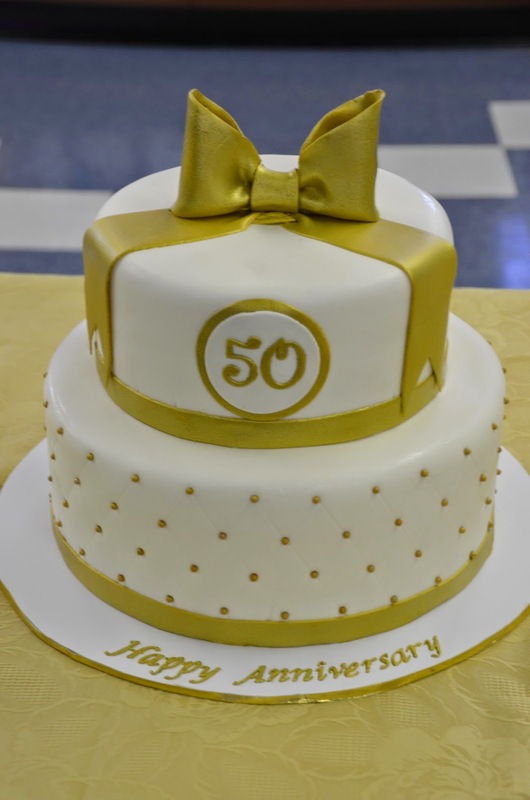 Stan and Judy celebrated their 50th wedding anniversary at the same church they were married in, having a luncheon with family and friends. I was in charge of making a new wedding album and the welcome table. I thought it would be nice if each guest wrote a memory they had of Stan and Judy. All the cards were collected and put into a 'treasure' box. My sister-in-law was in charge of the table decorations. 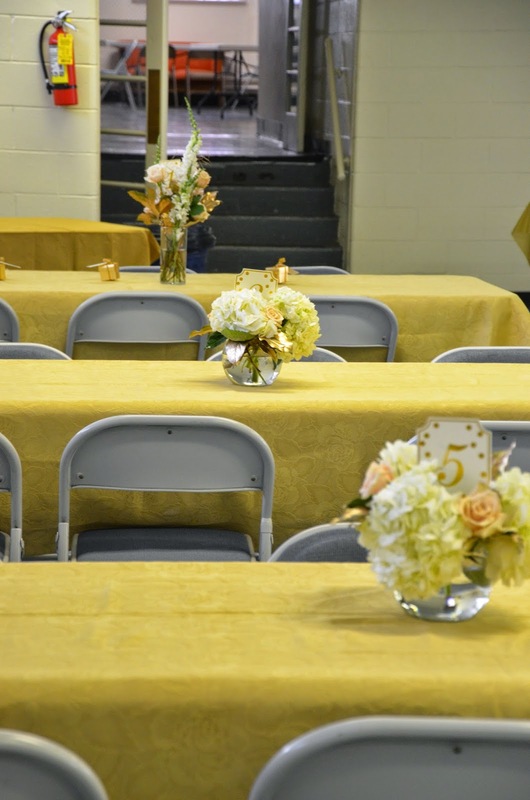 I loved the gold tablecloths, simple and elegant. My good friend, Heather has her own cake business. I think she did an amazing job making the anniversary cake. Judy made the party favors. 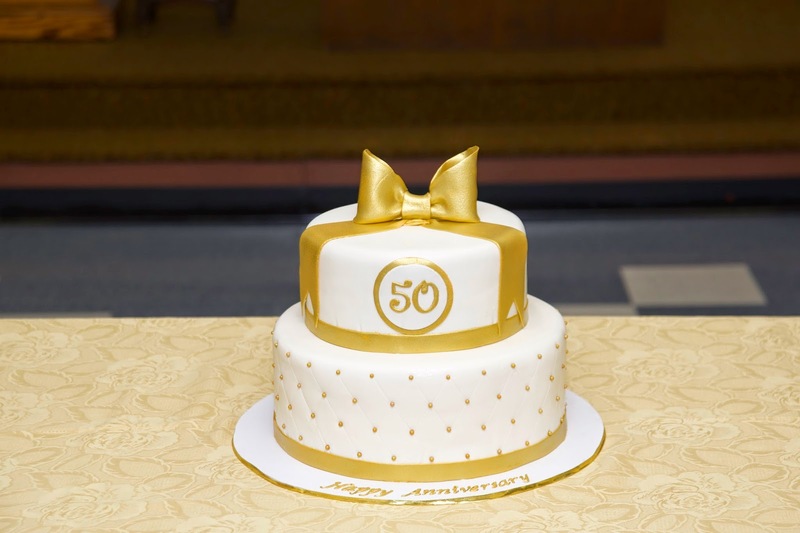 Happy 50th wedding anniversary to my wonderful in-laws! How wonderful! 50 yrs. of marriage is a wonderful accomplishment by today's standards! Loved seeing all the pics! Congrats to them both! I noticed Judy tilted her head the same way in both pictures that were taken 50 years apart. Congrats to your in-laws.